United Country Real Estate | Shobe Auction & Realty has achieved top recognition as a leading real estate and auction company nationwide for decades. Our team consists of experts well versed in the Montana ranch, farm, recreational, land, country homes and homes in towns we represent. We are from Montana and live the Montana lifestyle every day. 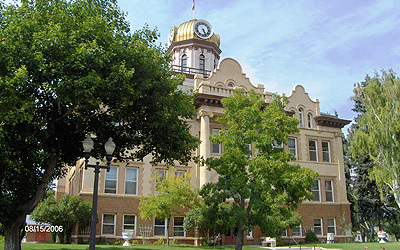 Our office is located in Lewistown, MT the Fergus County seat, southeast of Great Falls and approximately two hours north of Bozeman and Billings to the south. This was once the site of a gold rush in the 1880s. Lewistown is an agricultural community with both farm and ranch business located at the geographic center of Montana in the vast Judith Basin. We boast many well-preserved historic businesses and homes. Although mostly rolling prairie, farms and ranches, our area features five beautiful mountain ranges. Picturesque landscapes, mountain terrain, recreational fishing and hunting land and small quiet towns define the region. We are served by State Highway 200 plus U.S. Highways 87 and 191. We invite you to contact United Country Real Estate | Shobe Auction & Realty, in Lewistown Montana. We can save you time and money in locating Central Montana real estate throughout Lewistown Montana & Fergus County. United Country is the only national franchise system specializing in real estate throughout the small cities, towns and surrounding areas of rural America. United Country Real Estate is the leading, fully integrated network of conventional and auction real estate professionals and today sell more ranches, farms, recreational property, land and homes in the country. The company has been an innovator in lifestyle and country real estate marketing since 1925. United Country supports nearly 500 offices and 5,000 real estate professionals across America and four continents, with a unique, comprehensive marketing program. The exclusive program includes the highest ranked and largest portfolios of specialty property marketing websites, unequaled national print advertising, the largest internal real estate advertising agency, an extensive buyer database of more than 650,000 opt-in buyers and additional proprietary programs to advertise local properties more broadly.